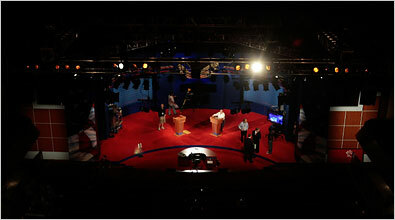 Title Live 2nd Presidential Debate amidst Bush Hits All-Time Low published to cocoa-touch. Bush's Disapproval Rating Highest in History Just two presidents have had lower approval (Richard Nixon and Harry Truman) than President Bush, and none has had higher disapproval in polls since 1938. McCain's problem: Fifty-three percent of registered voters think he'd lead the country in the same direction as Bush, inching back up over a majority. Forty-eight percent of registered voters are uncomfortable about McCain's age, a new high. And while Obama has advanced since mid-June in the sense that he's a "safe" choice for president, to 55 percent, McCain has lost ground on this measure; 51 percent now see him as safe, down 6 points. 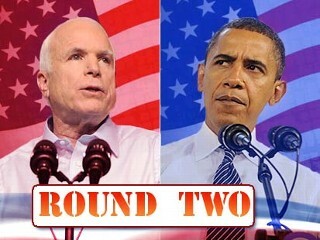 Obama continues to trounce McCain on enthusiasm. 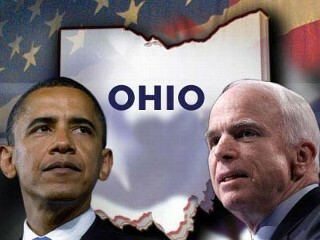 Sixty-one percent of Obama's supporters are very enthusiastic about their choice, vs. 38 percent of McCain's. For all that, Obama does not have the race in the bag. Though more registered voters say Obama than McCain won Friday's debate, Obama has not progressed in the sense that he'd make a good commander-in-chief of the military, and remains under 50 percent in this measure. The number who say he's got the kind of experience it takes to serve effectively as president, while a majority for the first time, is only narrowly so, 52 percent. Sen. Barack Obama is riding economic discontent to an advantage in Ohio, bolstered in part by financially stressed voters in the state's hard-hit industrial belt -- and following it up with a more extensive ground campaign in this key contest. McCain and Obama enter Tuesday night's second presidential debate at Belmont University with a real sense of a race that's slipping away from McCain -- and a growing realization in GOP circles that the Republican ticket has a dwindling number of chances to reclaim the narrative. McCain gets the format he wants, but not the backdrop. If the debate follows the logical progression of the week, we will continue down the path of least subsistence into out-and-out, guilt-by-association name-calling -- led there, in all likelihood, by McCain, whose campaign is trying to thrust "character" into a campaign that may not welcome it. Does McCain want to go there? Will/should even nasty attacks register when compared to the psychological blows arriving in mailboxes these days, depicting shattered 401(k)s? And with Tuesday night's town-hall format, does a candidate want to throw bombs when there are civilians in range? It may be too late for those choices: It's on, and it's ugly. In the run-up to the debate No. 2, McCain and (particularly) Palin have gone personal -- and Team Obama responded by bringing up the Keating 5. "Who is the real Barack Obama?" McCain said Monday (with now-casual references to Obama's "lies"), per ABC's Jake Tapper and Bret Hovell. "Even at this late hour in the campaign there are things we don't know about Senator Obama or the record that he brings to this campaign." And -- going further, but still not as far as she wants to go -- Palin "invoked fear for the first time when discussing Sen. Barack Obama's connection to former 60's radical William Ayers," per ABC's Imtiyaz Delawala. "I am just so fearful that this is not a man who sees America the way that you and I see America -- as the greatest source for good in this world," said Palin, R-Alaska. Obama, she said, "launched his political career in the living room of a domestic terrorist." No turning back from here: "Mr. McCain made clear on Monday that he wanted to make the final month of the race a referendum on Mr. Obama's character, background and leadership -- a polite way of saying he intends to attack him on all fronts and create or reinforce doubts about him among as many voters as possible," Adam Nagourney writes in The New York Times. "And Mr. Obama's campaign signaled that it would respond in kind, setting up an end game dominated by an invocation of events and characters from the lives of both candidates." "Look, I'm not sitting here with my feet up," said senior Obama adviser David Axelrod. "The back-and-forth, coming on the eve of a presidential debate tonight, represented some of the strongest language yet in a race that has grown increasingly negative and signaled that the final four weeks of the campaign could grow even nastier,"
The moderator, Tom Brokaw of NBC News, is sifting through those millions of questions to find six or seven that he might pose. The other dozen or so questions will come from among an audience of about 80 likely voters from the Nashville area who will be on stage with the candidates. Mr. Brokaw will meet with audience members on Tuesday as he seeks a balance between foreign and domestic topics. The live audience was selected over the last week by the Gallup Organization, which made thousands of calls to find people who are truly uncommitted - that is, they may be leaning toward one candidate or the other but could still change their minds. “Only a small percentage of the population qualifies as uncommitted,” said Frank Newport, editor in chief of the Gallup Poll. The format allows about five minutes for each question: two minutes for each candidate and one minute for what the co-chairman of the Commission on Presidential Debates, Frank J. Fahrenkopf Jr., described as “interplay” to be managed by Mr. Brokaw. ... Vice Presidential Debate: Part 2 ... Buying Climate Hits a New Low; Overall Confidence a Point ... steeply this week to within sight of its all-time low. ... U.S. diplomatic efforts during President Bush’s second term ... I support efforts to keep taxes low, so families ... During the October 8th presidential debate, Sen.
What is the key factor behind the GOP selection of Sarah Palin for VP? The format allows about five minutes for each question: two minutes for each candidate and one minute for what the co-chairman of the Commission on Presidential Debates, Frank J. Fahrenkopf Jr., described as “interplay” to be managed by Mr. Brokaw. When the candidates meet tonight at Belmont University in Nashville, Tenn., for their second of three debates, the pressure will be on McCain, who is trailing in the polls, to convince people to reconsider their priorities as well as their votes. That means continuing his campaign's strategy of attacking Obama's judgment, analysts said. "He's got a very difficult task ahead of him," said Torie Clarke, a Republican strategist and ABC News political consultant. "He has to do something different. He has to say something that will change the game. He has to inject something into the system that will shake things up, because right now, it does not look good." Tonight's town hall style debate is moderated by Tom Brokaw of NBC News. Brokaw will ask six or seven of the more than 6 million questions submitted over the Internet.